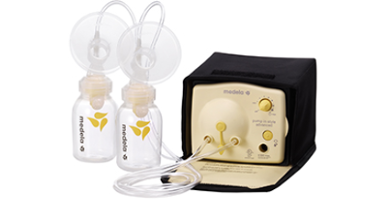 Pump in Style Advanced Starter Set with double electric breastpump is a daily use breastpump designed for moms who pump several times a day. This set offers portable convenience for quiet, discreet pumping anywhere. Adjustable speep vacuum dial helps you choose your most comfortable setting. All parts that come into contact with breastmilk are BPA/DEHP free.